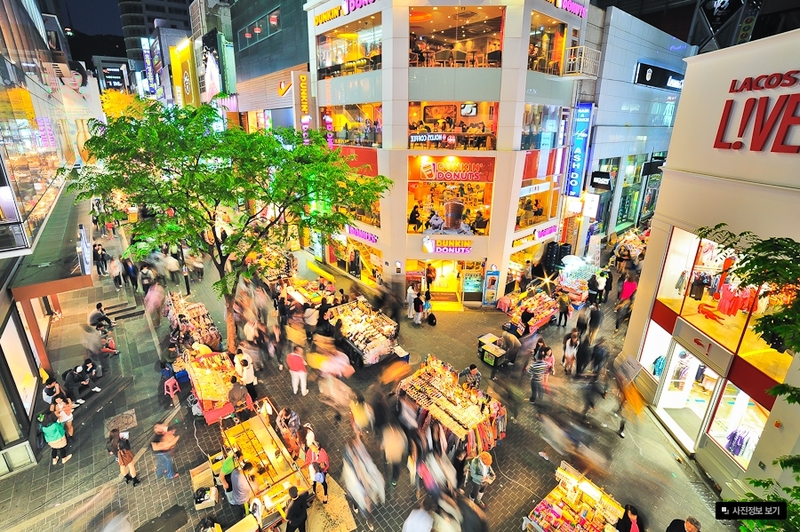 There’s no doubt about it?Seoul is a shopper’s paradise. From clothes to beauty products, to electronics and antiques, you can find almost anything you need in the city’s numerous shopping districts. Whether it’s inside large shopping malls, specialty boutiques, or cozy street stalls, you can always experience Seoul shopping at its finest. When it comes to bargains, Seoul shopping can’t be beat; big sales usually occur in each of the four seasons, with most of the major department stores and shopping centers holding sales four times a year. The longest sales take place before and after two major Korean holidays: the Lunar New Year and Chuseok. A special Seoul Summer Sale is also held during the summer months, with an equivalent Korea Grand Sale during the winter months. Resourceful shoppers patiently wait for the period in between seasons because that's when it becomes the "sale" season. Cosmetics are usually number one on most women’s shopping lists, with the Myeongdong district being the best source for all sorts of beauty products. Cosmetics also have big sales during December, but one can find many bargains and even freebies in Myeongdong, which is considered as the top Seoul shopping district. Clothing and apparel are always essentials when it comes to shopping, and Seoul has it all. From the latest in luxury, high-end fashion available in Gangnam to the chic and trendy boutiques at University Quarter, you can never run out of places to shop for clothes in Seoul. If you're looking for art or handicraft items, a visit to Insadong is highly recommended, with their offerings of traditional Korean goods like hanbok, hanji, pottery, and antiques. And you can't get more traditional than Nandaemun Market, with its 600 years of history and thousands of stores that sell anything from food to textiles, to electronics, souvenirs, and more. South Korea is known for being one of the most advanced countries when it comes to technology, so shopping for electronics and gadgets to appease your inner geek is a must. Established sources for consumer electronics in Seoul include the Yongsan area, where the Yongsan Electronics Market and I’Park Mall are located. Both are huge shopping centers where you can find computers, TVs, cameras, mobile phones, and lots more gadgets to go with your digital lifestyle. Discover the many sales and bargains that await you when you go shopping in Seoul; we at All Seoul Tours offer many stops at the popular shopping districts in our various tour packages. Contact us today to find out more.